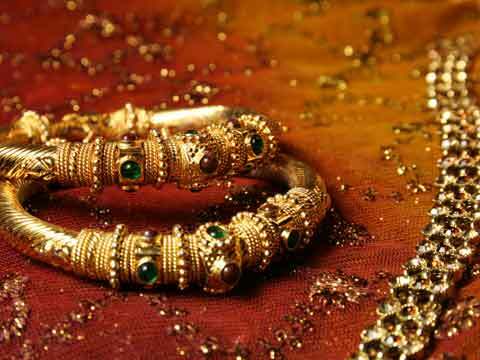 E-commerce major, Flipkart has joined hands with jewellery retailer PC Jeweller to create a platform for online jewellery shopping. "With the aim to revolutionise the trend of jewellery buying in India, this partnership will provide an online go-to platform for the shoppers," both the companies said in a statement. Besides, the focus will be on the replicating the comfort, convenience and brilliance that is associated with shopping at a PC Jeweller's large format showroom online on Flipkart, it said. "We are focussed on our online jewellery brand WearYourShine by PC Jeweller and going forward, we would also like to work with Flipkart towards creating a seamless offline-online integration wherein customers get a flexibility to buy online and exchange or return offline across over 46 showrooms of PC Jeweller. "We see online jewellery sales becoming a huge market in the next few years, contributing a good share to our business," PC Jeweller Executive Director and Chief Operating Officer R K Sharma said. Flipkart's deep data analytics and online cataloguing assistance will further refine the online shopping experience. "Our access to the country's largest customer base allows us to predict market needs and list new products on our site that we feel will cater to current customer demands. We are confident that precious jewellery, as a category, has huge potential if done right. "The association of Flipkart and PC Jewellers, both names that are trusted widely by customers, is well positioned to take online jewellery shopping to the next level," Flipkart SVP - Retail Kalyan Krishnamurthy said.